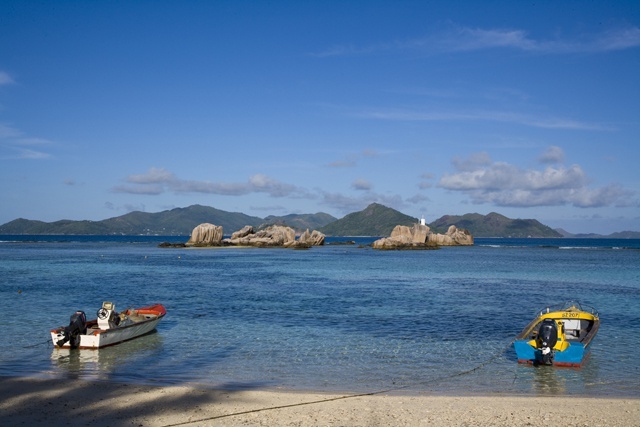 (Seychelles News Agency) - Three people died and three others -- including a 6-year-old boy -- survived after a boat accident during a busy holiday period on Seychelles' third-most populated island, authorities said Sunday. The six people were onboard a boat that capsized and sank Saturday while travelling from La Digue to Praslin, the second-most populated island. Police spokesperson Jean Toussaint, who spoke to SNA over the phone from La Digue, confirmed that the three survivors included the skipper, who swam for help. A 6-year-old boy and a man were rescued on Sunday, Toussaint said. “Three people have died," Toussaint said. "The bodies of two women and an elderly man have been recovered." The man was 65. The precise locations where the deceased and the survivors were found have not yet been confirmed. The three survivors are receiving medical treatment. According to a joint press statement by the Marine Accident Investigation Board and the Seychelles Maritime Safety Administration the child and man were flown to the main island, Mahé, for further care. 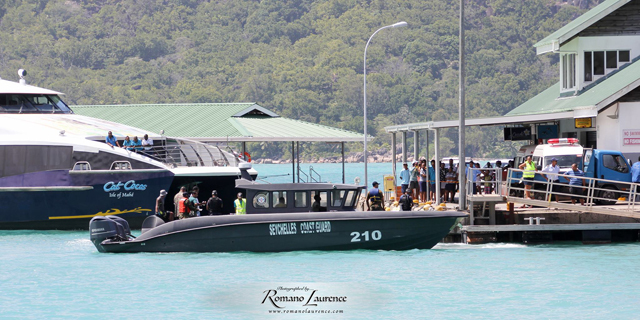 The incident reported at around 7pm on Saturday occurred in an area known as Ros Kannal, around halfway between Praslin and La Digue, which lie some 15 minutes apart when travelling by fast ferry. The search and rescue operation lasted throughout Saturday night and ended Sunday afternoon. 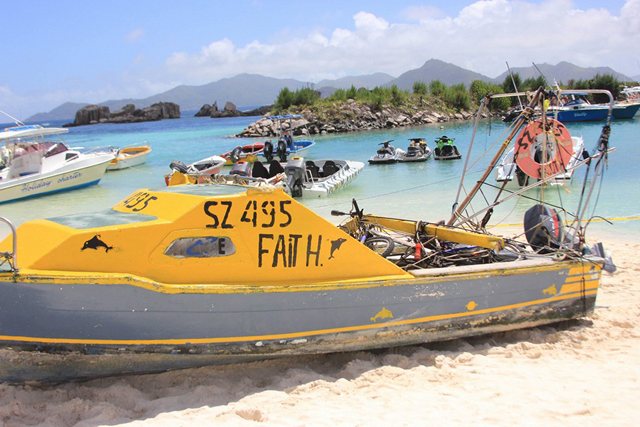 The Seychelles Coast Guard, the Seychelles Air Force, the Seychelles Police, the Seychelles Port Authority, the HMAS Perth of the Australian Navy, Zil Air and private boat owners from Praslin and La Digue assisted in the search. In a press statement issued by State House on Sunday, the Seychelles President James Michel said he shares the suffering and sadness of the victims’ families. “It’s a huge tragedy and the whole Seychellois nation is living the tragedy,” said Michel who had called for all necessary state resources to be deployed to aid search and rescue efforts. The president said that the nation rejoices that a young boy and a man were found alive. The accident occurred at a time of year when there is a lot of movement on La Digue, which commemorates the Feast of the Assumption of the Virgin Mary, the Patron Saint of the island on August 15. A packed weekend of festivities kicked off on Friday ahead of the religious feast on Monday. Hundreds of people including visitors as well as locals from Mahe and Praslin have been converging on La Digue since Friday. Following the tragedy the mood on La Digue have been dampened. “It’s a somber atmosphere following the accident that occurred on Saturday night, very sad. It’s something I was not expecting to happen,” Peter Pillay, a resident of Mahe now on La Digue told SNA. “The incident has been on my mind since this morning and now I am a bit relieved that the child involved has been rescued…it’s a great pain for the families,” Yacinthe Niole, a La Digue resident said to SNA. The capsized vessel – a 16-feet fibre glass vessel -- has already been salvaged from the sea. 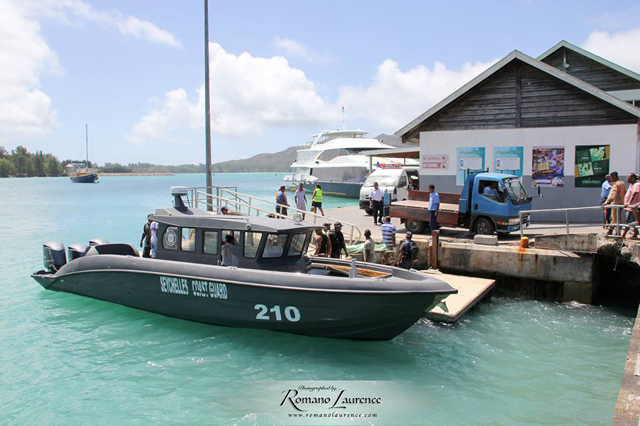 The police, Marine Accident Investigation Board and the Seychelles Maritime Safety Administration have initiated an investigation into this incident. The skipper is being detained by the police pending further investigation.